Greetings Tripawds Community! 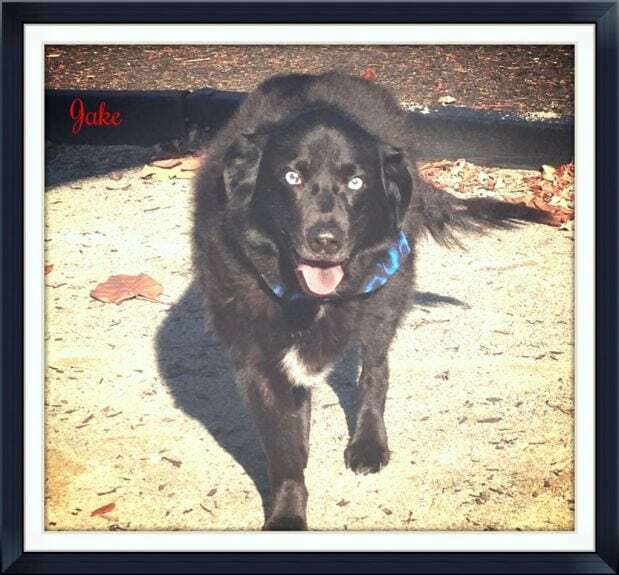 Allow me to tell you the story of Nikolay the Tripawd (Formerly Known as Retro) and how he came to be my dog. It all started with a dog Sebastien. Seb was a Golden/Cuvac mix I rescued from Texas in 2009. He was the most amazing creature and the love of my life. In June of 2017 Sebastien injured his leg during a routine play session with his friends. We took Seb to get his leg X-rayed and found out the worst possible news – Sebastien had cancer. A tumor that started in his colon, that then spread to his leg. His leg broke right where the cancer was eating his leg, and we were told we had to immediately amputate. I spent the next two weeks frantically preparing and raising money to treat a dog with cancer and get the house ready for his new life on three legs. Unfortunately as we made these preparations we learned his cancer spread even more. He developed severe hypercalcemia, stopped eating for 5 days, and by the end of that two weeks, he passed away in his sleep. I was so ready to have Sebastien with three legs than no Sebastien at all, but life doesn’t always work out the way we want it to. I was lonely for another dog in my life and I started looking around for a new dog to adopt. The moment I thought about getting another dog, I immediately decided I would get a three legged dog in honor of Sebastien. I couldn’t find a dog that drew me in after a week of searching around on the internet, so I started to ask myself, “where can I get a special needs dog that truly needs my help? One that needs a second chance at a good life, one that has three legs? Where do these dogs exist in excess”. Then I immediately had the answer: Asia. I had known about the Soi Dog Foundation for a long time, so I decided to take a look and see what dogs they had for adoption. Sure enough, they had about 7 dogs that had three legs. Some lost their legs from car accidents, and others were survivors of the dog meat trade. I saw some photos of a Spunky little black tripawd named Retro, and was immediately drawn to him. I sent an email asking about him coming to America, and they sent me back some more photos of him, informing me that he had been up for adoption since January and that nobody inquired about him since. Retro was a stray Thai street dog that spent his days cruising for food and his nights sleeping in the Buddhist temple. One day in December of 2016 someone found Retro with a severely infected injury on his left foot. He was alone and in tremendous pain. He could not walk on that leg at all so the person that found him took Retro to the Soi Dog center to get him help. Though they tried to kill the infection and save his leg for almost two weeks, Retro’s muscles started to atrophy and the infection would not stop spreading. So on January 1st, he had his leg amputated. Though it took over two months, I officially adopted Retro on September 25th, 2017. The day I picked him up from the JFK airport. Retro is now called Nikolay. He is agile, quick and sometimes stubborn. He’s changed my perception of special needs dogs in so many ways. When I adopted him I was prepared to be helping him up every curb and step, assisting him with reaching things and helping him hold his bones… Nope. There is nothing little Nikolay cannot do. He runs faster than any dog I’ve ever had, and he can even use his one front leg to dig holes. Dogs handle trauma differently than humans, and he proves this to me every day. Strangers that greet him are often shocked at the sight of him, then they immediately see how he gets better around than some of the people he encounters. To keep Nikolay healthy we have him on a 50/50 raw and cooked diet, veggies, cosequin, omega 3’s and bone broth. We bought him a K9 FITBONE and are currently in the process of training him to put his paws on it before he can effectively use it to exercise. I would also love to take him to the Whole Animal Gym here in Philadelphia for physical therapy and conditioning. He already has amazing shoulder muscles so I wanna make sure he’s fit all over. I keep his paw fur and nails trimmed, and even wax his paws to give him extra traction. I’ve never had a special needs dog before Nikolay, but thanks to the Tripawds website I was more than prepared by the time I got him. I’m sure new situations will arise from time to time, but thanks to this website I had even more knowledge on how to take care of Nikolay than Soi Dog did. I would encourage anyone to adopt a tripawd and give them a chance at a good life. They will surprise you every day when you see they are (almost) no different than a dog with four legs. They swim, jump, run and play. They also have amazing balancing skills. Altogether it cost a little over $800 USD to bring Nikolay to America. The Soi Dog base adoption fee is $50, and I had to put down a deposit for airfare, totaling $280. Out of the kindness of their hearts and the excitement over finally getting Nikolay adopted, Soi Dog has allowed me to finish paying for his airfare and cargo crate on a payment plan, just to get him to a good owner and out of the shelter. If I were to get this small grant from Tripawds, that could help me give money back to Soi Dog. Every little bit helps, even the smallest bit. Thank you for your wonderful organization, and thank you for reading my story. Thank you again Tripawds community! I just want to add, there is one typo in my story… My dog Sebastien passed away in June of 2017, not June of 2009. I had almost 8 wonderful years with him before adopting Niko. Thank you again, we are so grateful! You are so welcome Candice. We fixed the typo!